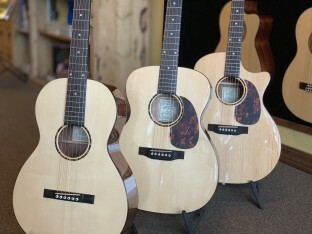 Just in, some new guitars from Recording King’s G6 Series. 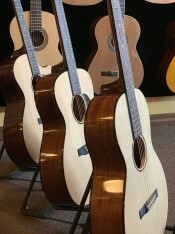 These are solid spruce top guitars with mahogany back and sides; tortoise shell style rosette, pickguard and binding; and bone nut and saddle. These guitars sound great and are amazing values for solid top guitars.